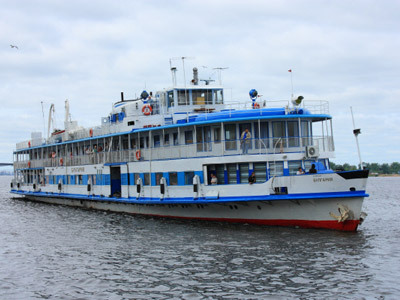 More than a hundred people are now officially confirmed dead after a cruise ship sank in a matter of minutes on Sunday on the Volga River, in what is Russia's worst inland shipping disaster. 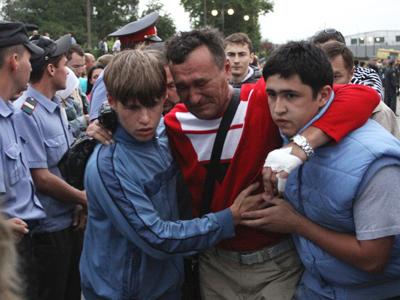 The death toll from the tragedy has reached 105, including at least 23 children, while 79 have been rescued. As many as 200 divers are currently working at the site where the Bulgaria sank. 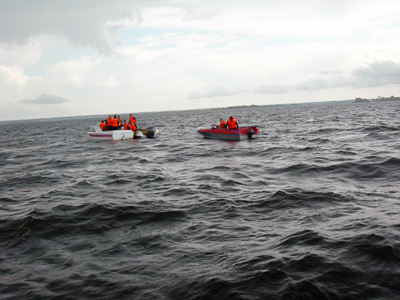 The divers from the Emergencies Ministry have been going to the sunken ship hour after hour bringing bodies of the victims to the surface. They say that there is a chance that all the bodies will have been recovered on Thursday. The conditions are very hard: the ship lies on its side in muddy swiftly flowing water. Divers have been searching inside of the vessel, cabin after cabin. At the moment, the divers report that only five to ten per cent of the vessel remains unexamined. “Once inside the boat, the bodies were everywhere, in the corners and the cabins, most of them already in life vests,” recalls diver Denis Snytko. Divers work in teams, with some clearing out debris inside of the ship, while others look for bodies and take them to the surface. Thousands of people have visited the riverboat station in Kazan where the Bulgaria was due to dock. They have been laying flowers in memory of those who died. Some have taken along toys to commemorate the children who perished. A former captain of the Bulgaria spoke to reporters about the condition of the ship and said it was dead a long time ago. “I became captain of the vessel in 2007. The ship hadn't been renovated for a while before that. There were big problems with the engines and power generators," the ex-captain of the Bulgaria cruiser Evgeny Minyaev said. Divers have not found any children’s bodies in the music room of the sunken “Bulgaria”, where dozens of children were believed to have gathered for a party at the time the vessel sank on Sunday. The news was announced on Tuesday by Lilia Khazieva, a spokesperson for rescue services, Interfax news agency reports. “No one has been found there,” she said. According to Khazieva, most children were found in corridors and rooms of the sunken vessel, and most of them were found alongside their parents. The development came as a group of military divers, some of whom took part in raising the “Kursk” atomic submarine, arrived at the scene of the tragedy to prepare for the raising of the “Bulgaria”. 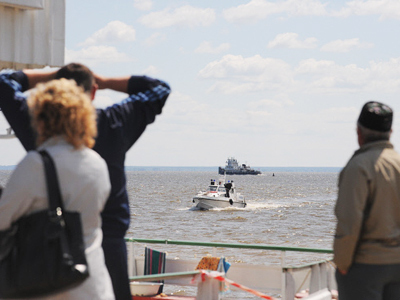 The operation to raise the vessel from the riverbed of the Volga will take place on July 19, though previously the emergency minister, Sergey Shoigu, announced it would be performed on Saturday, July 16. The “Bulgaria” sank on Sunday, just three kilometers from the shore. Relatives have already identified 85 bodies, including those of 12 children, while 79 people have been rescued. 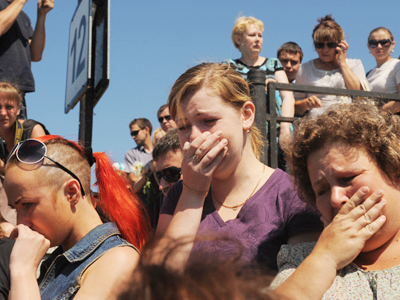 At the time of the tragedy from 192 to 209 people were onboard the “Bulgaria”, the agency reports. 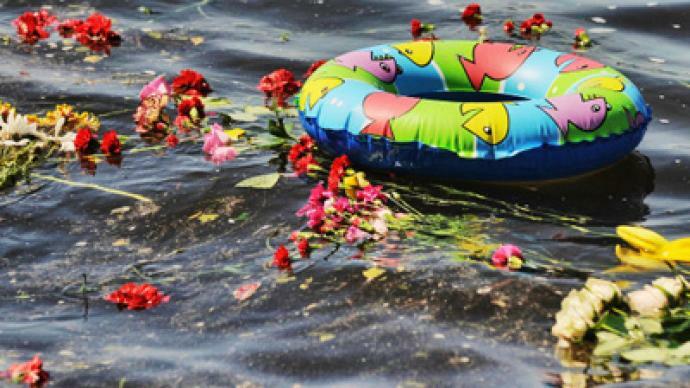 Families of the victims and passengers who received injuries when the sinking occurred will receive compensation from the Russian authorities, the Russian prime minister, Vladimir Putin, announced on Tuesday. Families of those who died in the tragedy will receive one million rubles each (the equivalent of about US $35,000), those injured will receive from US$7,000 to US$14,000, depending on the severity of their injuries. The authorities of the Russian republic of Tatarstan where the tragedy occurred also announced their compensation payments, which are due to start on Wednesday. Criminal cases have been opened into why two ships which passed the sinking vessel did not stop to pick up a single person, and into why the ageing Bulgaria was allowed to sail in the first place. On Wednesday Kazan’s local court issued a warrant for the arrest of the previously detained Yakov Ivashov, a senior expert at a local department of Russia’s River Registry, a safety regulatory body, which cleared the Bulgaria to sail. A criminal case has been opened. If Ivashov is found guilty, he may face up to ten years behind bars. Another detainee in the case, the general director of the operating company that ran the Bulgaria, Svetlana Inyakina, has also been arrested. Captain Hartmut Fuss-Kleinfeld believes that poor maintenance of the vessel and safety equipment, as well as insufficient crew training led to the disaster. Bad weather conditions are not to be blamed, says Fuss-Kleinfeld, who is also a marine and transport consultant, as it is up to the captain to manage the course and safe navigation of the vessel.